Despoina graduated with a first class honours degree in Chemical Engineering from Aristotle University of Thessaloniki in 2016. Throughout her studies, she was introduced to a wide range of topics, from materials science, physics and fluidics to biological sciences. She became fascinated by the potential of engineering to revolutionize healthcare. Thus, for her thesis she sought to extend her experience and training into designing advanced nanomaterials for Alzheimer’s disease treatment under the guidance of Professor Athanasios Salifoglou. Being keen to engage and familiarize with a variety of subjects and responsibilities, she also undertook different internships and volunteering activities. In 2017, she was given a scholarship by the Bodossaki Foundation to pursue a master’s degree in Nanotechnology and Regenerative medicine. For her MSc project she joined Dr James Phillips’ research team and worked on reducing the immune response to therapeutic cell implantation in the CNS. During this time, she developed a passion for working at the interface of engineering and life sciences. 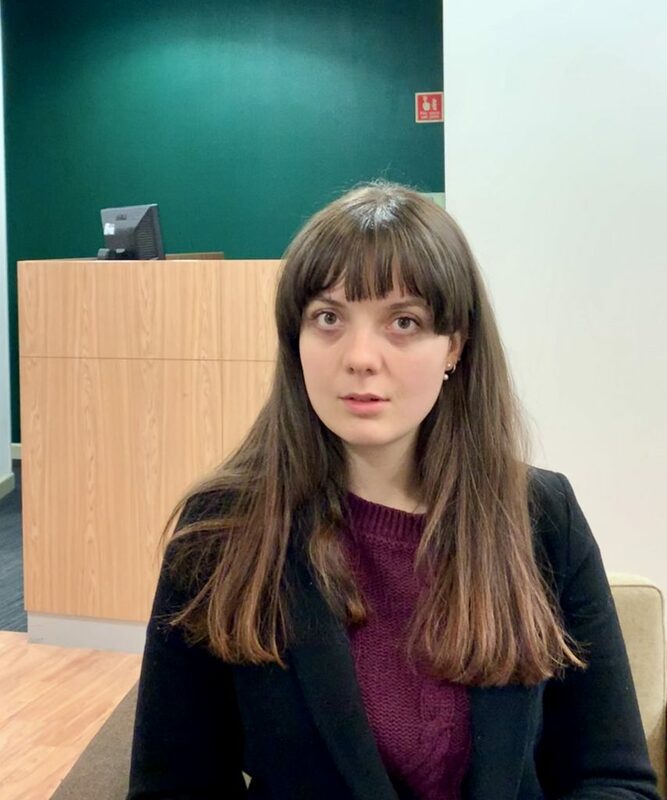 Despoina began her PhD in September 2018 under the supervision of Dr Rebecca Shipley and Dr James Phillips and will focus on using mathematical modelling to optimize the design of nerve repair constructs. D Eleftheriadou, R Evans, AS Boyd, JC Knowles, VH Roberton and JB Phillips. An alginate-based encapsulation system for the delivery of therapeutic cells to the CNS, Tissue & Cell Engineering Society (TCES) 2018, Keele, UK. Nday, C. M., Eleftheriadou, D. and Jackson, G. (2018), Shared pathological pathways of Alzheimer’s disease with specific comorbidities: current perspectives and interventions. J. Neurochem., 144: 360-389. Halevas E. et al. (2017) Chitosan encapsulation of essential oil “cocktails” with welldefined binary Zn(II)-Schiff base species targeting antibacterial medicinal nanotechnology. J. Inorg. Biochem. 176: 24–37.